Tap in the schedule or hit the green Add button (+) to start scheduling your team. Enter any relevant task details and then click Done to add the task to the schedule. 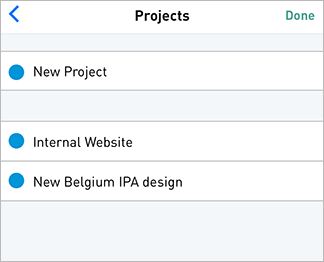 In addition to adding tasks and time off for your team, you can also quick-add projects from the task menu. Our powerful search is available across all pages of the mobile app. Click the Filters & Sorting tab to change the date range or sort your schedule. 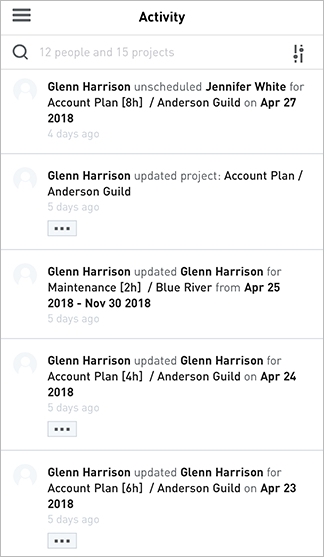 You can keep track of the latest schedule changes made to your account from the activity feed. Refresh any page by swiping down on your screen. Dragging/dropping and the right-click tools are not supported. 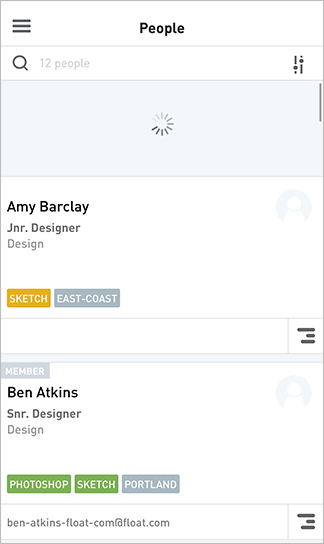 Adding/editing people, editing projects, and viewing reports are not currently available via the mobile app. Members whose access view is set to "Their schedule" will only see the schedule and the activity feed. The iOS app is designed for use on all of the latest iPad and iPhone devices (5th Generation iPad/iPhone 7 and above). Take your team on the go by downloading the Float app from the App Store!